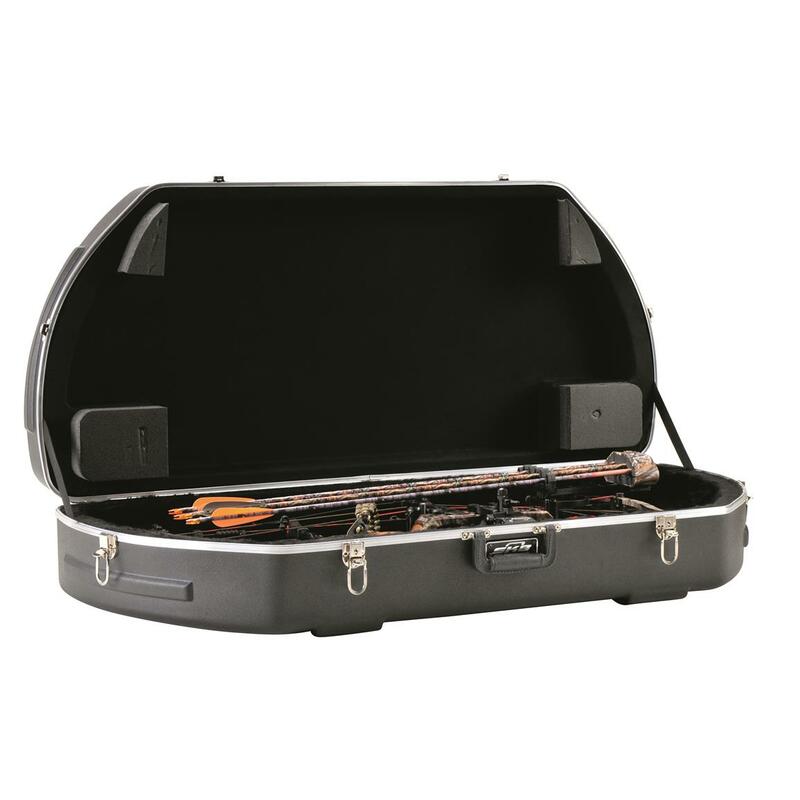 The SKB Hunter XL Series Bow Case, 2SKB-4120 will protect new wider style bows such as the Z7 and Z9 models with the quiver attached. 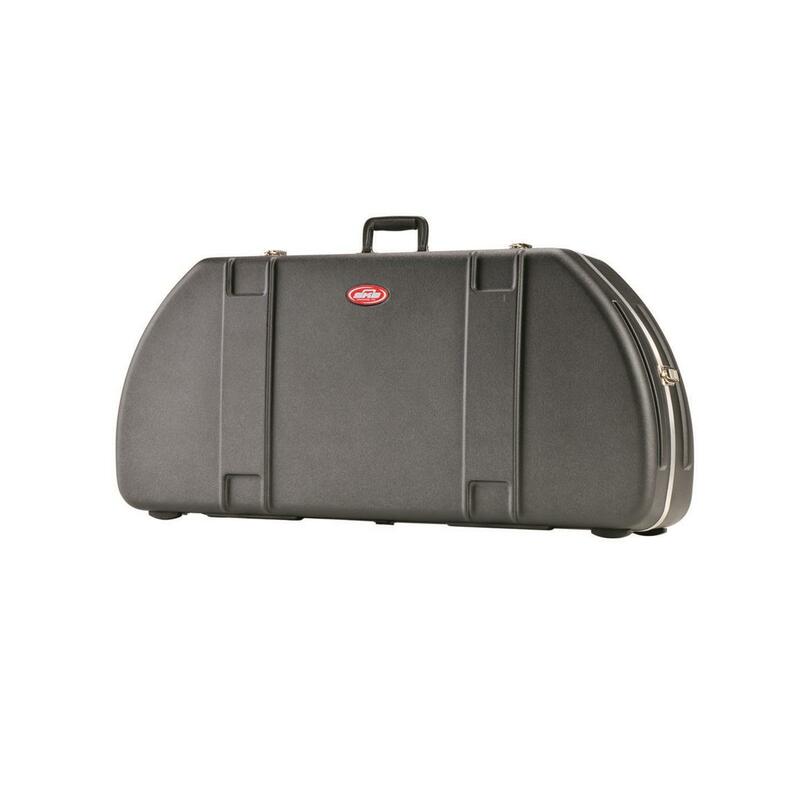 The rigid outer ABS shell has embossing that adds to the overall structural support of the lid with an eight point interlocking stacking system. 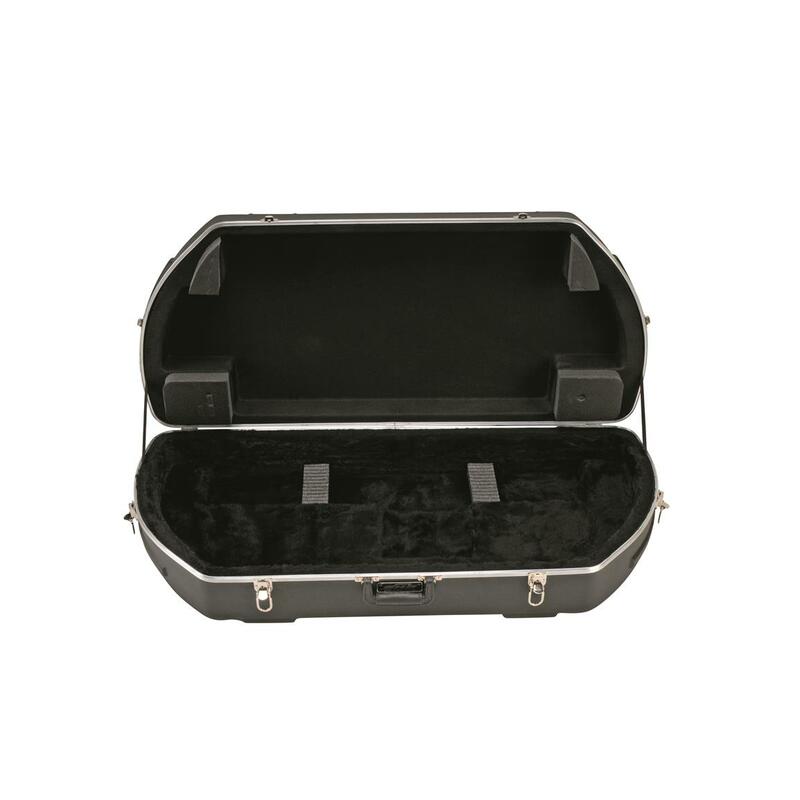 An SKB Hunter XL Series Bow Case protects against impact as well as the damaging effects of dirt, dust and moisture with lockable draw-bolt metal latches and "Perfect-Match" valence bending system that provides a tight, secure fit around the edges of the case. Inside, the plush-lined EPS inserts hold your bow securely while a water-jet cut foam arrow system provides protective storage for up to a dozen arrows. 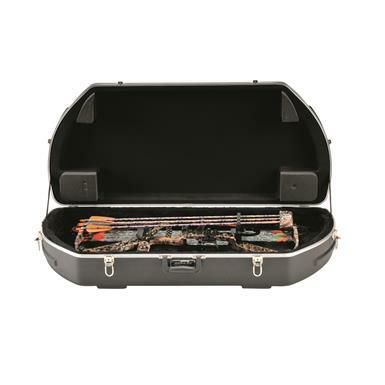 Interior Dimensions: 41" x 17" x 6"d.
Exterior Dimensions: 45" x 21" x 9"d.
Protect your Long Gun the way it deserves! Armored transport for 2 scoped rifles!